For my cards today I am using the Sunburst stamp set. I love it! It has so many possibilities to it but I decided to pair it up with the Thank You set to make a couple of note cards. The design is the same but I used two different colours - aqua and pink. I took some white cardstock and ran this through my Cuttlebug using the SSS Stitched Squares dies. I then took the images that look like flower petals and stamped them using chalk ink. I used two shades of ink on each stamp to give a little variation in shade. 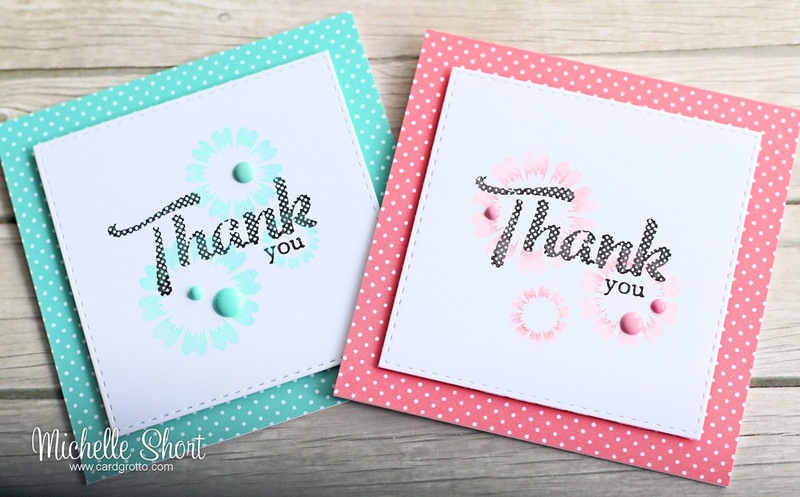 I then stamped the large 'thanks' sentiment from the Thank You set and the 'you' from the Sentimental Type set with black ink. The panels were adhered to 4x4" card bases that have a sheet of paper added from the Lawn Fawn Let's Polka collection, with foam tape. I then embellished with a few DB Sprinkles. Thanks so much for visiting me today. Please pop over to see Stephanie who will be sharing the full reveal shortly. She will also have links to the other DT and GDT sharing today. I will be back this afternoon with my release recap video. I hope to see you then! I look forward to checking out what you've posted - never disappoints. 10pm tonight, I'll be decidedly poorer, but happier! These are eye-catching, charming note cards, guaranteed to delight whoever receives them! Your showcase of the new release: stunning! Such sweet thank you cards! Fabulous! 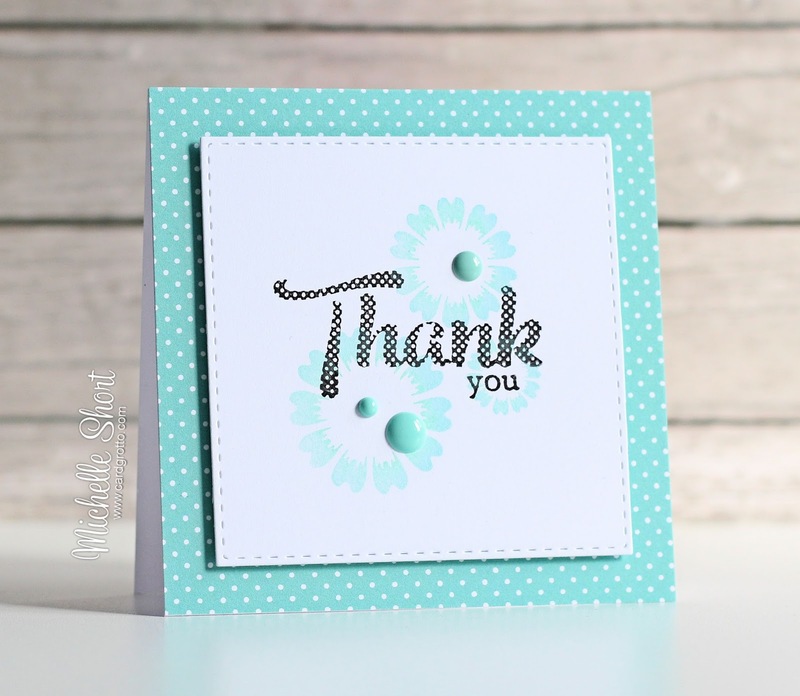 The polka dot thank you sentiment looks awesome matted on the polka dotted patterned paper! Love these! Super sweet cards!! Love the pretty colors & simple design!! both cards are wonderful!!! with a beautiful design and color choice!